The Georgian-styled building is designed for spaciousness, reflecting the vast unlimited landscape surrounding it, without sacrificing its ambiance or intimacy. 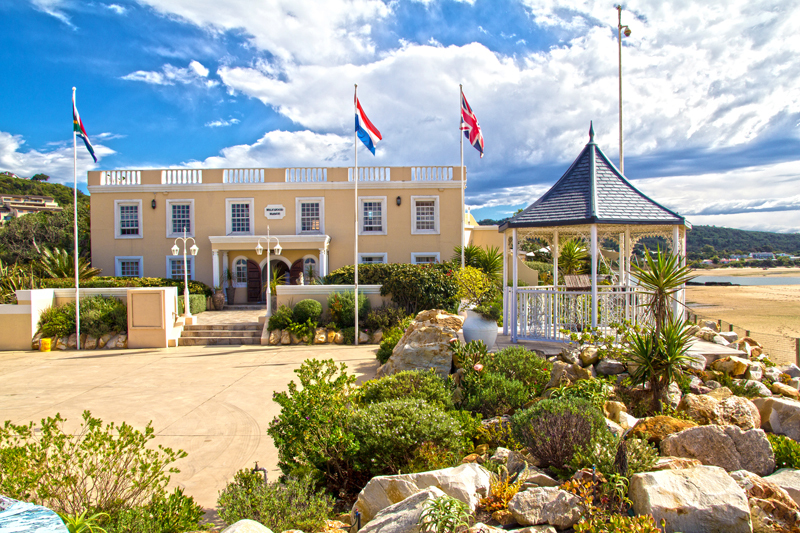 This is epitomized by the airy double-storeyed foyer, the large yet cosy restaurant, the private patios and balconies, and large breakfast and sundowner terrace, that afford spectacular views over the Indian Ocean, Keurbooms River Mouth, Keurbooms Lagoon and Tsitsikamma Mountains. They have thought of every little detail here to make your stay as comfortable as possible. I loved the fact that they have beach bags in the rooms with 2 beach towels and you just help yourself to beach chairs and umbrellas. Just outside reception is a tap for washing sandy feet. And I’ve only just realised they washed the car for us. And there is a ceiling fan and aircon. Rooms are bright contemporary and have good storage space. I can recommend getting a sea view with a balcony. It’s just lovely sitting watching the waves and activity in the lagoon. They lent us kayaks and there’s a nice deck for chilling out. Breakfast is great too. I loved having smoked salmon and blue cheese plus a cooked breakfast and fresh fruit. I don’t give 5 stars very often but this place really deserves it. Thank you Milkwood Manor. There is a sense of vastness and freedom, not easily achieved elsewhere. But then, the property forms a peninsula, protruding onto the Lookout Beach, and has no neighbours but nature. 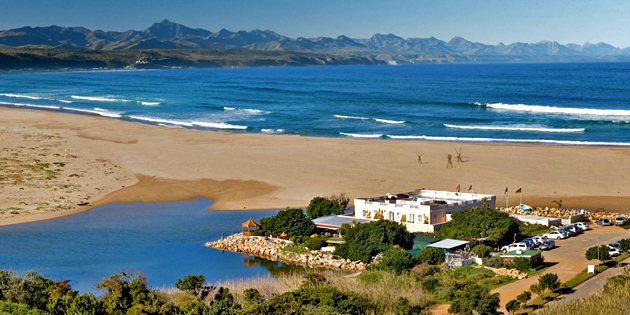 The twelve rooms offers guest the ultimate experience in seaside accommodation and the essence that is Plettenberg Bay is surely epitomised by the fresh ocean breezes and sea sound-scape. Guests enjoy relaxing on the terrace, watching the birdlife and especially the sea and mountains as they change all the time. The ocean’s white-crested waves crash on the beach. In high season, there is in front of the Manor the additional spectacle of different boats entering the ocean or returning, and the fishing activity in the lagoon itself. This is not a place to easily get bored!